In the event a tree must be removed, it is best left to a professional. 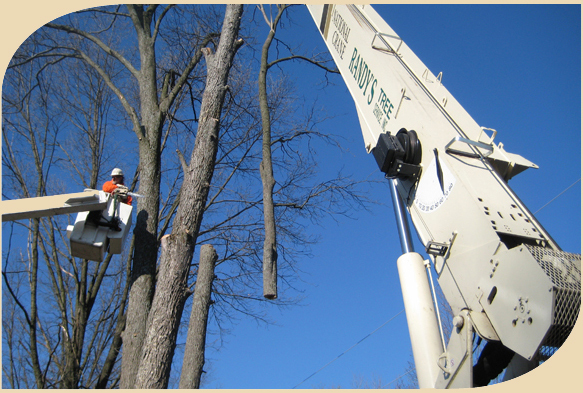 Randy’s Tree Service, Inc. has over 29 years experience removing trees from delicate or seemingly inaccessible places. Our crew prides itself on its ability to work together like a “well oiled machine”, bringing the tree down without damaging your home or landscaping. When we leave, your yard is left neat and tidy. Pruning your trees on a regular basis keeps them healthy and beautiful. There are many different tree trimming methods for different species of trees and for how you want your trees to grow. If you need more light on your lawn for your grass to grow, your trees may need to be raised (elevated) and thinned. If you have limbs growing over your house, we can prune the limbs back or remove them so they do not interfere with your house or structure. If you need your trees cleaned up, we can prune out dead, hazardous and crossing limbs to keep your trees growing healthy and strong. 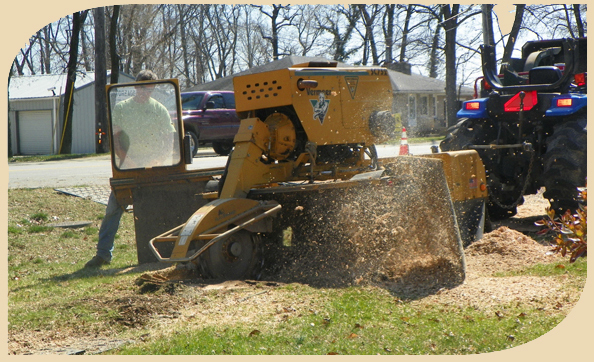 We can remove your stump when we cut down your tree, or you can call at a later date for stump removal. 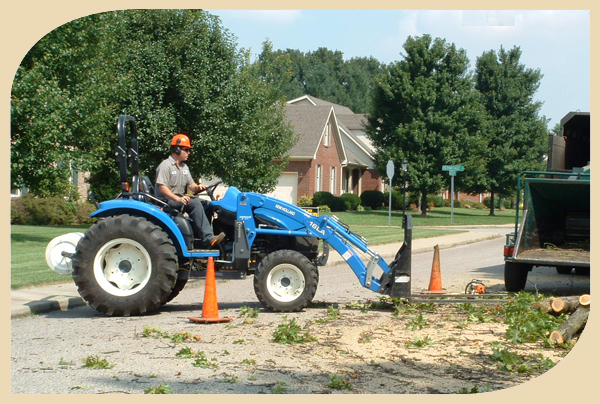 We own two different sized machines to handle stumps that are extremely large or stumps that are only accessible through a 36” opening. We can leave the stump chips for you to dispose of or haul them away for an extra charge. For trees that are susceptible to splitting, we can install cables and braces to minimize incremental damage in an effort to extend the life of the tree. If severe weather causes your trees to fail, we will make you a priority. If you are in need of firewood, we sell split firewood year round. You can pick it up yourself or request delivery.